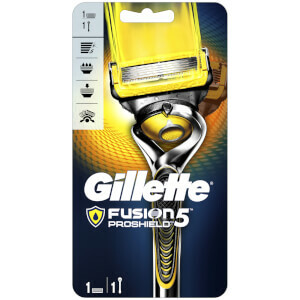 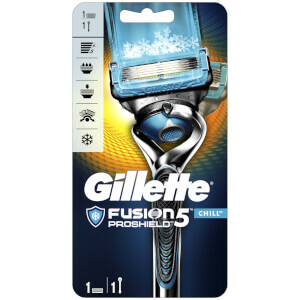 Revel in Gillette's unparalleled shaving technology with the Gillette Fusion5™ ProShield men's razor, the first Gillette razor to shield while you shave. 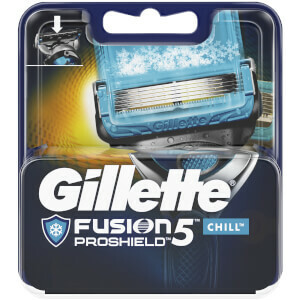 The ProShield razor is the first of its kind to feature lubrication strips before and after the blades, providing a protective layer to shield your skin from irritation. 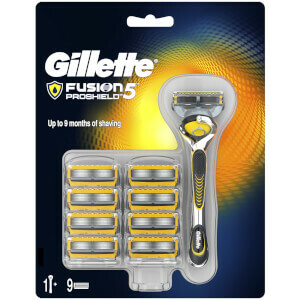 The sleek handle is designed with FlexBall Technology to allow the razor head to pivot in all directions over contours, reaching virtually every hair; resulting in Gillette's smoothest shave. 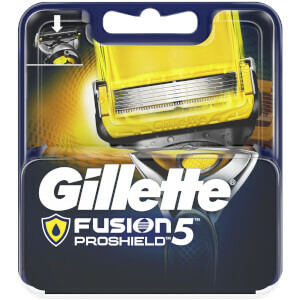 All ProShield razors feature 5 anti-friction blades.